It seems to me, there are more orphans in publishing than in any other industry. Not only do we have the poor orphans we write about in YA -- gotta get rid of those parents so the teens can take the lead, don't we? -- but then we writers become orphans as well. Editors move houses or leave the industry. Imprints get bought out. Publishing houses close. Wherever you look, orphans abound, and many writers are left wondering what is to become of published stories they once thought well placed. Author Kaitlin Bevis shares with us today her story of becoming orphaned with not one, but three books. Read on to learn how she found new and better publishing life for her three beloved orphans plus one new sibling. And be sure to check out her giveaway at the end. I am very lucky. In the middle of February, my publisher, Musa Publishing, announced they would be closing their doors. All rights were reverted back to the author and a letter stating as much was immediately produced. I had three books published by Musa in the Daughters of Zeus series: Persephone, Daughter of Earth and Sky, and The Iron Queen. Book four, Venus and Adonis, I’d held on to in hopes of finding a different publisher. How is that lucky? Because Musa closed down the right way. If you know where to look, you’ll find hundreds of thousands of horror stories featuring authors trapped in limbo after their publisher went bankrupt. You’d think the rights would revert immediately, but sometimes they’re held on to as assets. Authors are stuck in legal limbo, their books off the market, yet not allowed to be published elsewhere. So in that regard I was incredibly lucky. I was also partially lucky because I’d been querying Venus and Adonis since June when I received this news. I say partially lucky because my decision to take Venus and Adonis elsewhere wasn’t luck, it was business. Musa was a fantastic publisher and I am glad that I published the Persephone trilogy through them. I learned a lot and I sold well. But the fact of the matter was as amazing as a publisher as they were; I’d reached the maximum audience as I possibly could through Musa, and at this point, thanks to everything Musa taught me, it was the same audience I could reach through self-publishing so sharing royalties no longer made sense. Even typing that, knowing that they have since closed their doors, feels awful. I no longer needed them to reach the audience I only had because of them? On a personal level it felt like I was stabbing them in the back by even considering self-publishing. It would have been easy for me to take the contract they offered me for Venus and Adonis out of guilt and gratitude. But unlike writing, publishing isn’t an emotional decision. It’s a business one. If I wanted to gain readers for Aphrodite’s trilogy, I needed a publisher with a different marketing plan and different connections. I knew it was unlikely to find a new publisher for book four in an over arching series, even if book four did kick off a new trilogy, so I made myself a promise. I would give Venus and Adonis one year of querying upon completion before opting to self-publish. Anything more than that wasn’t fair to the readers waiting for it to come out. As it was the time it took to write Venus and Adonis could have cost me a lot of loyal readers, so a year was the most I could reasonably expect to still have carry over if I was solely in charge of the marketing. Anything less wasn’t fair to me, because while I have the highest respect for self-published writers, I know enough about self-publishing to know that I personally need all the services a publisher provides. But I also know myself well enough to know that every rejection letter and email from a reader asking when the next book was coming out would tempt me to rush into self-publishing. So I wrote a date on the calendar before I sent out the first query, and instead of working on book five of the series, decided to work on something different while I waited to hear back just in case I did have to self-publish. I still needed to reach a larger audience, and if I failed to find a publisher and self-published, that wasn’t going to happen through me. I’d hit my ceiling. My second largest stroke of luck was the timing of all these decisions I made. Because I didn’t accept Musa’s offer on Venus or Adonis or rush into self-publishing, I suddenly had a really important advantage when Musa closed. I wasn’t just querying a set of reprints. I had a set of reprints with an established audience anticipating the next book and the next book to offer along with it. The moment Musa produced the right’s-reversion letter I began contacting the agencies and publishing houses I’d queried with Venus and Adonis to let them know that the remainder of the series was up for grabs. I also emailed every friend I had in the writing world to see if they knew of any opportunities. In another stroke of luck, one of those opportunities was #pitmad. In an unlikely turn of events an agency known for horror novels responded to my pitch on twitter. The agency ultimately passed on the Persephone trilogy, as I figured they would, but they said they did enjoy my writing style, did I have anything else? As luck would have it, my current WIP happened to be a horror story. So I sent over the first twenty-five pages of Blood and Other Matter. Within an hour of receiving the first twenty-five pages, they requested the full manuscript with the caveat that it would be awhile before I heard from them because they had to go through all the #pitmad requests first. I’m still waiting to hear back from them, but even having that opportunity was sheer luck and timing. Meanwhile, Belle Bridge Books, a publisher I’d queried Venus and Adonis with back in August, responded that they enjoyed the books, were impressed with my sales, and were impressed with my marketing platform. They offered me a contract and before I knew it, the Persephone trilogy was back out there, in print, and reaching an entirely new reader base. I do realize I’m incredibly lucky. Things don’t always work out this well for people with orphaned books. Any number of things could have stopped my books from getting back out there. But those things are beyond any writer’s control so they aren’t worth dwelling on. What is worth dwelling on if you are a writer with an orphaned book is anything you can possibly control. Write good books. Market the hell out of them. Maintain a social media presence even if it feels pointless because your publisher just closed, your books are no longer for sale, and you’ve been querying your WIP for over eight months without a single bite of interest. Don’t let emotions cloud business decision. Your publisher isn’t your friend; they’re your business partner. There may be some really amazing and wonderful people who can turn out to be the very best of friends you’ll ever meet working with that publisher, but at the end of the day those fuzzy warm feelings have nothing to do with what’s in the best interest of your book. Make a plan before you query, because emotions will get the best of you with every bit of news, good or bad, that you get if you don’t have a solid plan in place. Network. Other advice, encouragement, and opportunities pointed out by other writers matter. A lot. And most importantly, keep writing. The exact same factors that told me not to publish Venus and Adonis with Musa could have also told me to just end the universe with the third book in the Persephone trilogy and move on. The same stubbornness that didn’t allow me to do that could have resulted in me working on book five during the querying year instead of branching out to expand my options. Planning matters. Don’t just make choices. Have reasons. Luck was absolutely a factor in getting my books back out there. But it wasn’t the only one. The decisions along the way that stopped the doors luck propped open from slamming shut in my face. One day Persephone is an ordinary high school senior working at her mom's flower shop in Athens, Georgia. The next she's fighting off Boreas, the brutal god of winter, and learning that she's a bonafide goddess--a rare daughter of the now-dead Zeus. Her goddess mom whisks her off to the Underworld to hide until spring. Musa opened the door, but you created your own audience by writing good books. Had your readers not liked the first book, they would not have bought the second and the third books. Thanks for the inspiring post. Susan thanks so much for having me on your blog today. I love reading books about mythology and modern life combined. Thanks for the giveaway! Thanks for sharing your experience, I really like the part when you felt like you betrayed your former publisher or when you didn't want to make your readers wait for too long. You may have been lucky but you also have persevered. 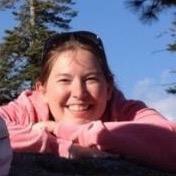 I am so happy to hear this, Kaitlin! I reviewed your book on Bookish Lifestyle about a year ago. I loved it! :) So happy to hear about you luck! Great article! Glad things worked out for you and thanks for sharing your experience. 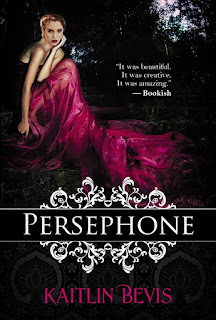 Persephone sounds like a good read, so I'm definitely checking that out! I hope you enjoy it, thank you so much. I've always loved reading YA books based off of mythology. Looking forward to reading Persephone: The Daughters of Zeus! Great post, Kaitlin. So wonderful that you're having success--not at all unexpected! Congratulations.